Mehr Bukhari was asking yesterday in her program: Who has written the script of this hi-fi drama? The drama has drawn our attention away from North Waziristan Operation, IDPs, Gaza and other such national and international happenings. Even the attack on Quetta Base Camp was “NO NEWS”. It means that Raheel Shareef wants no disturbance of “showmans” in his mission, and his team has very artfully diverted their attention to other trivialities. Once the mission completed, as per late news last night that two important commanders’ stations have been blown out; he will take another turn towards civil issues, for which he has been showing remarkable patience. Therefore, Tonight is very important as stated by MQM leader Altaf Hussain. I’ve a strong intuition that Imran Khan will lead the March tonight and Tahir al Qadri will follow as he followed him in Lahore. Both of these leaders are taking action in an exceptional coordination. Imran Khan has forsaken all robes of grace and he is addressing the people like commoners, in the language few relish, especially this is causing his rivals to bite their tongues as they are obliged right now not to offend the man in the uniforms. Tahir al Qadri is all grace mixing his logic with slight drama, but his arguments are highly appealing to the intellectuals of this country. He has best availed this opportunity to get heard in local and international media showing the most logical and rational face of Islam, demonstrating his cause with a huge fan following, the most organized and disciplined in the best of ways. It has taken its spectators by great surprise and they are not finding words to criticize him. The local media has completely submitted to him turning their guns against Imran Khan. The martial face of Islam has also been projected by our sacred agency, and when the whole Muslim world seems to be dyed in that color, now the undoing is being done by the same agency. It means that the mission bitterly failed by Parvez Musharraf, i.e. familiarizing Pakistan with “liberalism” and “enlightened moderation”, the new troops of sacred agency have been able to achieve. See the colorful processions of Imran Khan, who’s become icon of modern and liberal Pakistan with his slogans of good governance and corruption free country. Whether he will be able to become Recib Tayyep Erdogan for Pakistan? Is it a moment of jubilation for Pakistan? The time for Pakistan has arrived. PML(N) is in dire straits, because of their continuous unintelligent moves. The incident of 17th June has tied their hands at back and sewn their lips; they are at brink of disaster of losing their top leadership that will disintegrate the party annihilating its political future. Although we have observed Gen. Raheel Shareef celebrating The Independence Day with the Nawaz Shareef, but the body language of the both clearly tells the story, who is offended and who is being thrown on bed of thorns. Why the blocked roads were opened after the meeting with the man in uniform? Whom Ch. Nisar is pleasing…? None but his old friend, allowing PTI to move ahead, extending courtesy to the opponents at a time when his party men are standing dagger drawn. Why Imran Khan is so confident that no one will block their way; there will be no gun shots. The smiles are brimming on his face like a young bridegroom going for his first wedlock. I congratulate the two leading actors for their great performance, but I wonder whether any of them will get the “Oscar” the promised reward. I have more sympathies for the most honest and the most naïve person – our hero – Imran Khan. I wish he may get the desired kick, but if he loses, the reason would be his simplicity, honesty and straight forwardness rather than aggressiveness. Whether would he sustain his naïve complacency in the face of failure? The men in uniform seek no excuses and give no pardon. Now it is not just granting Musharraf the safe exit; nobody is asking for it; it is about Shareefs’ demanding ‘bakhsheesh’ from planned brutal murder of 14 innocent citizens of Pakistan on Lahore’s streets. In future we expect even greater show of Azad Adaliya, but before finishing I’d like to comment, whoever has written the script, the show went house full providing a full kick to the desperate citizens of Pakistan. All hail to “Naya Pakistan” with/without Imran Khan. Still I wish he’d be with us. 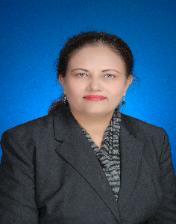 Seema Arif is associate professor at School of Social Sciences & Humanities in University of Management & Technology, Lahore. Pakistan. She portrays herself as humble seeker of the Sufi way. Her academic output relates to organizational behavior and concerns about leadership. She has published widely in local and international newspapers, magazines and journals.